Sri Devaraj URS Academy of Higher Education and Research (SDUAHER) is a Deemed-to-be University with ISO 9001:2000 certification. Sri Devaraj Urs Medical College is accredited by the National Assessment and Accreditation Council (NAAC), India. SDUAHER conducts All India Under Graduate Medical Entrance Test (AIUGMET) for admission to its MBBS course. SDUAHER AIUGMET 2015 was conducted on April , 2015. 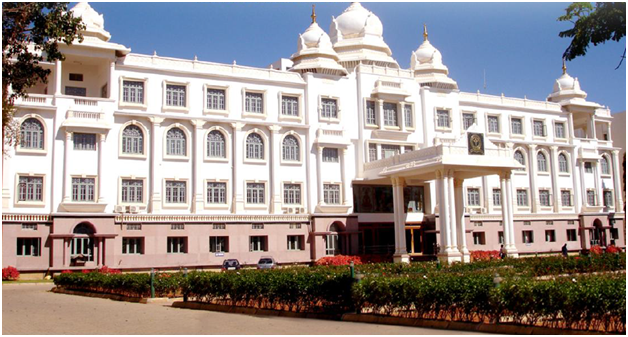 Situated between Bangalore and Chennai, the Medical College is 5 km from Kolar, Karnataka. Its medical courses are recognised by the Medical Council of India. Students can download the brochure and application form for the exam from the academy website. Physical application form for SDUAHER AIUGMET exam is not sold anywhere. Fill the application form online and double-check SDUAHER application form details 2015 before submitting it. Also don’t forget to take printouts of the filled-in application form, and 2 copies of Date of Birth Certificate or Identity Proof. Physical application form needs to be sent in the A4 size envelope with all the related documents. Do not fold the applicant and write ‘SDUAHER- AIUGMET- 2015-16 Application Form’ on the top of the envelope. Demand Draft. Application fee for the exam is Rs 1,500/- is to be paid in the form of Demand Draft drawn in favour of The Registrar, SDUAHER, Kolar (payable at Kolar). Do note down your Application number on the reverse side of the DD and check that it is properly signed by the banker. The application form can be submitted to ‘The Registrar, (U.G. Admission Cell), Sri Devaraj Urs Academy of Higher Education & Research, Tamaka, Kolar-563101, Karnataka, India’ in post or person. This year, the deadline for it was April , 2015 (by 5 pm). Candidates are not allowed to fill multiple application forms for the exam and it can result in their disqualification. SDUAHER AIUGMET admit card or the online Test Admission Ticket (TAT) can be downloaded from the website on specified dates. In 2015, one could download the admit card from April 10 – 10 days before the exam. Online TAT carries the details of the exam centre assigned to the candidate. Those who are not able to download the hall ticket must contact the helpdesk immediately at 08152-243247. In case of a discrepancy, contact the authorities immediately. SDUAHET AIUGMET hall ticket is not sent to the candidates by post or courier. If they do not carry the printout of the hall ticket and the attested ID proof, they will not be able to enter the test centre. Admit card is an important document. Candidates must preserve it until the admission process is completed. The examination centres for the SDUAHER medical exam 2015 were situated at Bangalore, Chennai, Vijayawada, Mumbai and Kolkata on 10 am to 1 pm. The test venue for the candidate is mentioned on its Online Test Admission Ticket (TAT). Students should have studied Physics, Chemistry, Biology, English and one elective subject at 10+2 level. They should have scored at least 50% marks in Physics, Chemistry and Biology as an aggregate in the three subjects in Class 12 board exam. 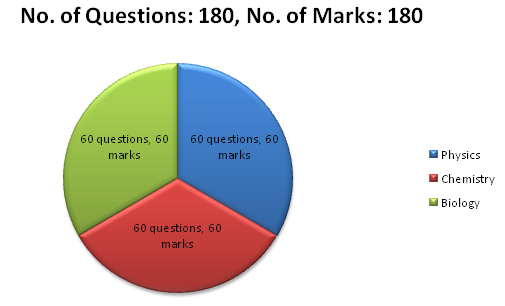 In the entrance test, they need to score at least 50% marks in each of the three subjects. SC, ST and OBC candidates need to score at least 40% in the qualifying examination and the medical entrance examination. Candidates should be at least 17 year old on or before December 31 in the year of admission. SDUAHER-AIUGMET-2015-16 had a single question paper that combined Physics, Chemistry and Biology subjects. The duration of the exam was three hours. Each question carried 1 mark. There is no negative marking in the exam. Questions with multiple responses will not be awarded any marks. How to prepare for SDUAHER AIUGMET? Pay attention to what is taught in class. Early morning, students should go through topics that are to be taught in school during the course of the day. This will give them some idea about the topic and also draw their attention to areas which they are not able to understand. Hence, they can ask the subject teacher to explain more about the topics they find difficult in the class itself. Take out some time for a run or a walk or playing active sports like badminton and tennis and have a healthy breakfast before going to school. After school, students are advised to take a nap of about 30-40 minutes. This will relax their mind and body. After the nap, they will again be fresh and alert for the next study session. In the afternoon, do your homework, study whatever is taught in class, close the book and make revision notes. Write down definitions and make diagrams in a separate notebook and formulae and equations in yet another notebook. Your revision notes, definitions and diagram sheets and formulae sheets will go a long way during revision of the medical entrance exam. Solve at least some practice questions and numerical daily. On Saturdays, take a mock test. You can use SDUAHER AIUGMET sample papers to find questions related to topics you have studied for such weekend tests. SDUAHER AIUGMET past year paper every other day. You can use NEET (AIPMT) past year paper for practice too. This will help you build up speed, accuracy and develop exam taking strategies. Don’t forget to analyze your tests and exam papers and compare them with the given solutions. In case of a doubt, seek help immediately. While self-study is essential, a professional coaching service provider can help you with exam strategies, study tips and tricks, and how to make it easier to cover the vast syllabus in time. Highly qualified teachers at askIITians are alumni of the best institutes of India and have first-hand experience of cracking most competitive medical and engineering aspirants of India. They can not only help you clear your concepts but also assist you in coming up with an individualized study plan – just for you. Online coaching for NEET (AIPMT) and medical entrance exams offered by askIITians include virtual classrooms that are interactive, one-on-one discussion with faculty members, and world-class holistic study material. Besides school textbooks, NCERT books for Physics, Chemistry and Biology are good starters. For reference, you can use books used by NEET (AIPMT) aspirants. SDUAHER AIUGMET answer keys are published on the official website on the same day of the exam – April , 2015 (by 5 pm). In case of a doubt, students have to fill up a form to seek clarification from the exam authority. For each question, students have to fill up a separate form and pay Rs 500/- (per question). The form is available on the official website. In 2015, clarifications had to be sought latest by April  (by 5 pm). SDUAHER AIUGMET results 2015 were announced on May . After declaring the test scores, students were given time till May  (by 5 pm) to seek any clarifications related to them. Final SDUAHER AIUGMET exam results 2015 and Sri Devaraj Urs 2015 UG medical results list (merit list or rank list) were declared on May. Higher aggregate marks in Chemistry and Biology in the entrance test will fetch higher rank. More marks in Biology in the entrance test will mean a higher rank. Age of the candidate. Elder candidate will be ranked higher. If the tie is still not broken, random selection will be employed in ranking the candidates. Students are given admission to Sri Devaraj Urs Medical College based on the final rank list generated after the entrance test. To ensure that there is no proxy exam writing, biometric means are employed to determine the identity of the candidate at various stages of the admission process – such as during the entrance exam, counselling and admission at the college. SDUAHER offers single-window counselling to successful candidates. In 2015, AIUGMET rank cards and counselling details were published by May. It was expected to be conducted in the month of June or July. Counselling dates for the exam are not confirmed yet. Candidates who fail to appear for the counselling will have to forfeit their claim on the medical seat of the college.